I am so happy that I discovered the face cream! 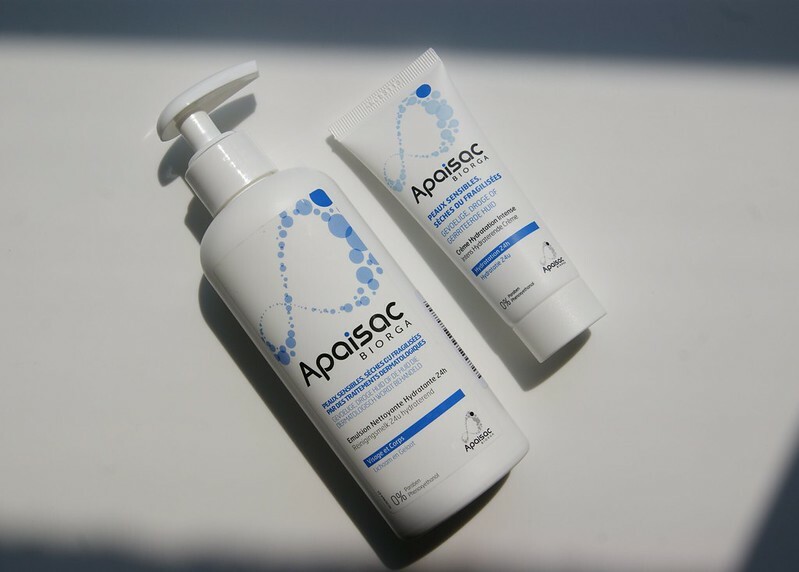 I apply it on my clean and dry face every morning and evening and it makes my skin feel super soft. Other than that, I also love the fact that my skin doesn't feel sticky or greasy after applying it, so I don't lose time waiting for it to be absorbed before I can do my make up. The cream also has a very subtly, flowery smell which is also a plus, since I'm not a fan of products that are scented too heavy. As for the red spots in my face: thinking that they would magically disappear would be somewhat optimistic, but I'm definitely noticing an improvement. I'm not sure how to explain it, but it seems as if the spots faded or got smaller. Also, my skin isn't as oily as it used to be. The cream seems to balance everything out. 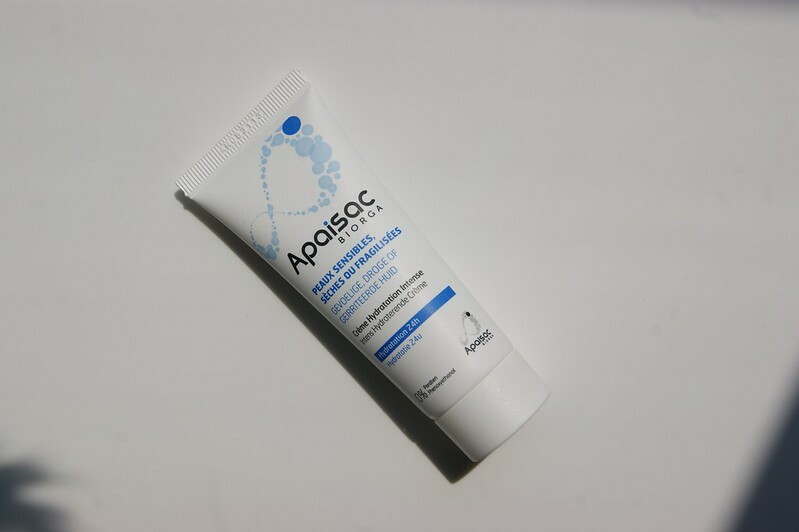 The Apaisac Biorga Intense Hydrating Cream (200 ml) costs € 13,50 and is available on the Newpharma website. As for the cleansing milk: I apply it all over my body while showering, let it absorb for a while and then rinse my body before stepping out of the shower. The skin on my legs, knees and elbows tends to get dry very very quickly, so I was happy to determine that this isn't the case anymore. Other than the fact that my legs are soft and hydrated from now on, I can also put on my skinny jeans immediately without experiencing that horrifying, sticky feeling. 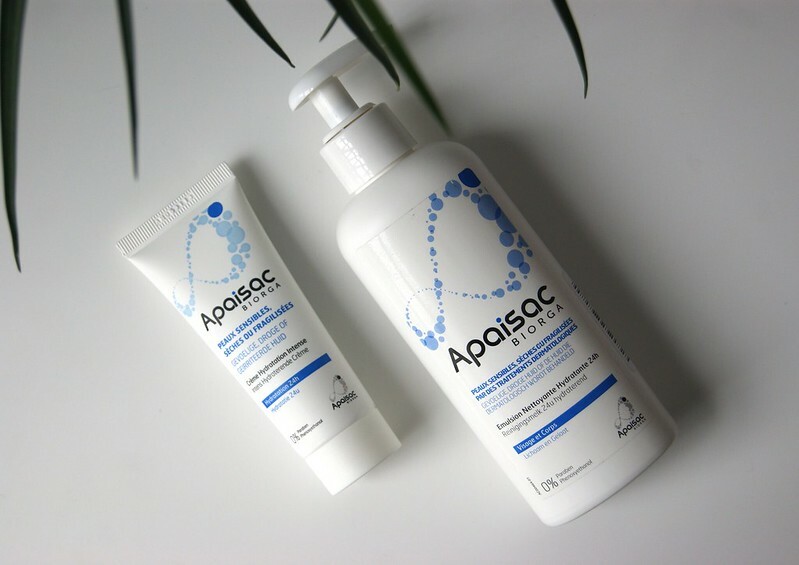 The Apaisac Biorga Cleansing Milk (200 ml) costs € 13,50 and is available on the Newpharma website. Never heard of this brand so I am really excited about this discovery! Are they easily available in Europe? I will try and hunt this down in London!